What are the three central values of the Quran? How do we make sense of the Quran in Britain today? The values of tolerance, respect for life and the celebration of difference should help Muslims today embrace those around them. 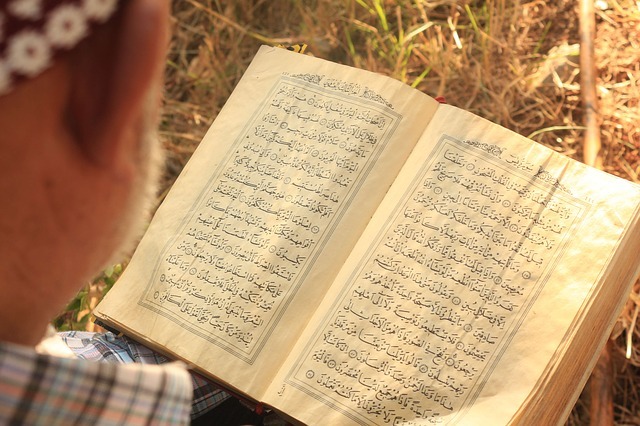 The Quran advocates many values that shape one’s intellectual and spiritual journey to God; but most importantly, these values also enable adherents to be more tolerant as they consider themselves vicegerent of God. Unfortunately, it appears that some Muslims do not give due consideration to these values. In this rather brief chapter I shall mention three values without in-depth elaboration: these are the value of life; the value of respecting differences; as well as the value of justice. do not know”. (Q. 2:30). I find this passage from the Qur’an extremely important. It helps me appreciate mankind but also my journey towards understanding God and his relationship with mankind. For instance, the verse indicates that mankind enjoys the most privileged state amongst all God’s creations. Furthermore, the verse tells us that mankind is God’s viceroy on earth. God could have chosen the angels (but he seemingly rebuked them) or other beings but did not. If anyone kills a person not in retaliation of murder, or (and) to spread mischief in the land – it would be as if he kills all mankind, and if anyone saves a life, it would be as if he saves the life of all mankind. And indeed, there came to them Our Messengers with clear proofs, evidences, and signs, even then after that many of them continued to exceed the limits (e.g. by doing oppression unjustly and exceeding beyond the limits set by God by committing the major sins) in the land!. (Q. 5:32). Indeed, if murder was a customary practice among humankind, it would not take long for the human race to vanish into extinction. Here the Qur’an informs Muslims that the survival of all humankind depends on everyone respecting and protecting others. One concludes from this noble verse that we are an interdependent species and our survival and prosperity is dependent on the value we place on the lives of others. would have believed all of them entirely. the people in order that they become believers? of God is the most righteous of you (Q. 49:13). Looking at these verses one can see that God in fact wills mankind to be diverse including differences in beliefs. I personally find this extremely important. These verses clearly stand against any Muslim who proselytizes and holds Islam as the only true faith and sees other religions as null, or sees people of non faith as irrelevant. Conversion is God’s work, and he willed that all mankind would not exist in a single community or hold one identical message. Even Mohammed did not have the power to convert people to Islam but Mohammed was rather asked to convey the message for conversion as one of the above quoted verses indicate is God’s work. God wills human difference and Muslims ought to see this difference as being part of the moral teaching of the Qur’an. well acquainted with what you do. (Q. 4: 135). acquainted with what you do. (Q. 5:8). Arguably, it is almost impossible to enjoy or appreciate any values or even the meaning of life in the absence of justice. Hence why the concept of justice is paramount in the teaching of the Qur’an. As the above verses demonstrate, God commands Muslims to be just and practice justice wherever they are in spite of how difficult the situation may prove. Furthermore, the Qur’an makes the call for righteous behaviour and the practice of justice between Muslims; but also to follow the above when dealing with non-Muslims. To not follow this path is togo against the teaching of the Qur’an. God loves the good doers (Q.3:134). Imam Dr Mamadou Bocoum is presently head of the Library and a lecturer at the Muslim College, London and a Chaplain at Ford Prison, Sussex. Dr Bocoum holds a BA in Arabic Language and received his certificate in Imamship in 2004. In 2009, he completed his PhD in Islamic Studies. Dr Bocoum is keen on interfaith work and assisting Tell MAMA with outreach. A biweekly series of e-books accessible via Faith Matters that will challenge assumptions and help Muslims in Britain make sense of the Qur’an in a modern context.